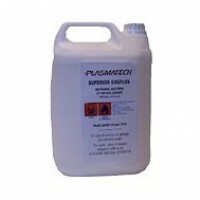 Plasmatech is the UK's leading supplier of liquid gasflux and manufacturer of the Model W gas flux brazing system and carry at all times stocks of spare parts for these units. Our PlasmaSAFE Cobalt Blue lensed safety glasses are perfect for the gas flux brazing process enabling the green flame, produced when gasflux is used, to be seen more easily by the operator. The gas flux brazing process has been used for many years within the cycle manufacturing process, but in the last decade has also become common in refrigeration processes, air conditioning and many light engineering applications. Acetylene passes through the gas fluxer as a vapour picking up exactly the right amount of flux and puts it in the flame for uninterrupted brazing. Brazed joints are strong, smooth, non-porous and free from glassy flux residues so there are no rejects! The advantage of this is a much cleaner joint where flux residue is minimal, meaning that little or no cleaning is required post-braze. The gas flux system is commonly used for brazing copper-to-copper and copper to mild steels, normally using a suitable brass alloy or copper phosphorous alloy. Tests carried out on a wide variety of jobs have shown that the gas fluxer process reduces brazing times by an average of 40%. Brazed joints are so good that paint can normally be applied without any need for further preparation. 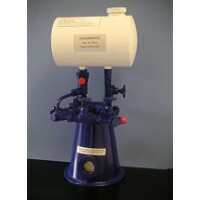 The gas fluxer is mainly intended for use with oxy-acetylene equipment. 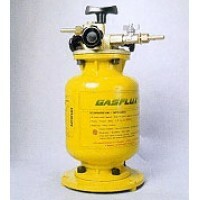 The Model W Gasfluxer was a British manufactured gas fluxing unit with a liquid gas flux tank capaci..